Everyone was over, with Harper getting the pin on Rusev. Cass was over as a heel and Dillinger got a good response despite the limited time he gets on television. The babyfaces all got great reactions and won when Asuka put Rose in an armbar. 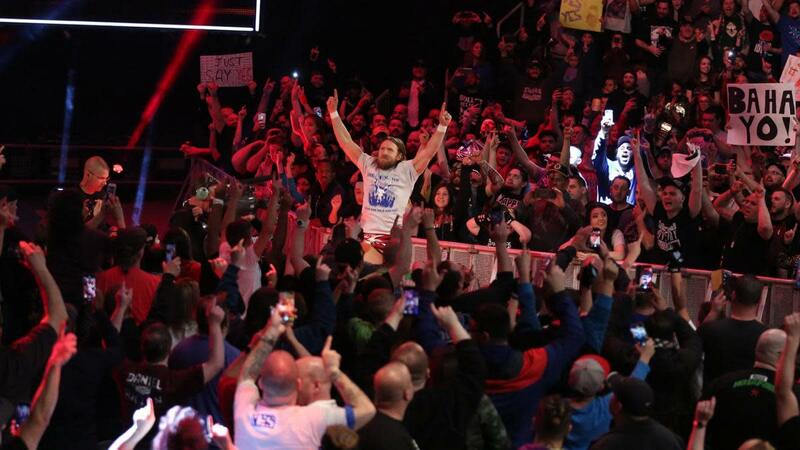 - There was a Miz TV segment with Daniel Bryan next. Miz got good heat, and the place went crazy when Bryan came out. He teased punching Miz in the face and finally did it, then hit his running knee. In all of my years coming to this arena, I've never seen anything like the reaction Bryan got. Everyone got good responses, though Hardy's was the best. Styles pinned Cesaro after a match with some good back-and-forth action. There were great reactions for all six wrestlers.